Is a license server for GiD. The license server is the machine on the network that all of the other GiD client machines ‘ask’ if there is a license available for use. Passerver 2.5 for Windows . Download. Passerver 2.4 for Linux 64 bits (kernel 2.6) Download. Passerver 2.5 for Linux 32 bits (kernel 2.6) Download. Is an utility to scan the source code files (written in ‘C’ or ‘Tcl/Tk’ language) of a program (usually GiD or a Problemtype) and prepare the text messages appearing in the program to be translated. RamTranslator 1.12 for Windows. Download and unzip. RamTranslator 1.12 for Linux. Download and unzip. Lognoter is a software to handle information. This information is organized by pages, the objective is to make easier the storage and management of information and notes, thoughts and ideas, and to improve corporative collaboration. Lognoter bets on simplicity and ease of use, providing a user friendly and customizable work environment. Nowadays, the information management is becoming more and more important. Lognoter provides an efficient solution to increase the organization and access to information. The success of Lognoter is to store textual formatted data, images and files all in the same place, it allows to organize business and personal time, schedule tasks, make notes, and store information. 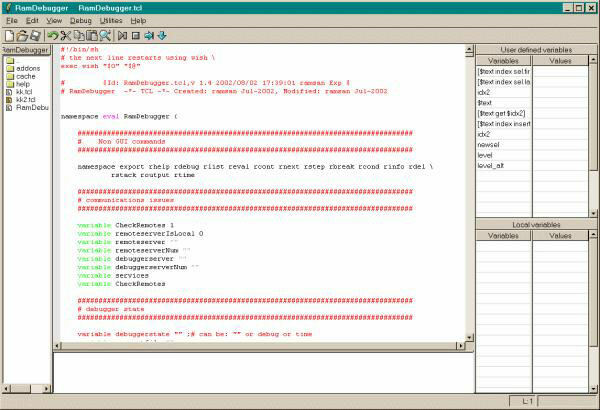 Procserver is a program that is used in conjuction with GiD in order to be able to make remote executions from GiD, executing the analysis in another computer. Procserver for Windows . Download. Using GiD on a remote server, for instance attached to a cluster, through LAN can be very slow. The X11/GLX protocol causes a heavy traffic of drawing primitives when a huge model is rendered and the local graphics capabilities are used. This traffic can be lowered by disabling the use of the local graphics card by using GiD in X11 mode, by using the command gidx, which uses software OpenGL provided by Mesa3D. As all the 3D rendering is done by the Mesa3D in the server’s CPU, the visualization of big models can still be painfully slow. Using the open source package VirtualGL, the server’s graphics capabilities are used to accelerate GiD’s 3D rendering of these big models, improving greatly the user’s experience. Here are the steps followed to install VirtualGL and use GiD on a visualization’s node,fisheye.cimne.upc.edu attached to our cluster acuario.cimne.upc.eduat CIMNE. Emacs is a very powerful text editor under the GNU Public licence. More information can be found here (general) and here (windows). ‘gid.el‘ is a lisp file for emacs which provides a new mode, so that the syntax of the template (.bas), conditions (.cnd), material (.mat), problem/interval data (.prb) and units (.uni) files of GiD problem types is highlighted. in order to highlight the text automatically when loading the files.